Last year, , and now we’re about to see its hotter sibling at this week’s Tokyo Auto Show. Set to be revealed in just a few days on January 12, the Subaru Viziv Performance STI Concept will most likely preview the next-generation WRX STI which is long overdue an overhaul. 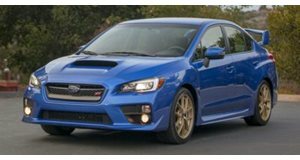 Subaru’s Design Chief Mamoru Ishii has already hinted that the , so chances are the soon-to-be-revealed STI concept will spawn a production version.